Cook salmon per package directions and cool salmon completely. Create base: Combine remaining ingredients in a blender. Mix together until fairly smooth. You should still see some pieces of red pepper and sun dried tomato. Add salmon: break salmon into pieces. Mix into dip base. Cool until set up slightly. 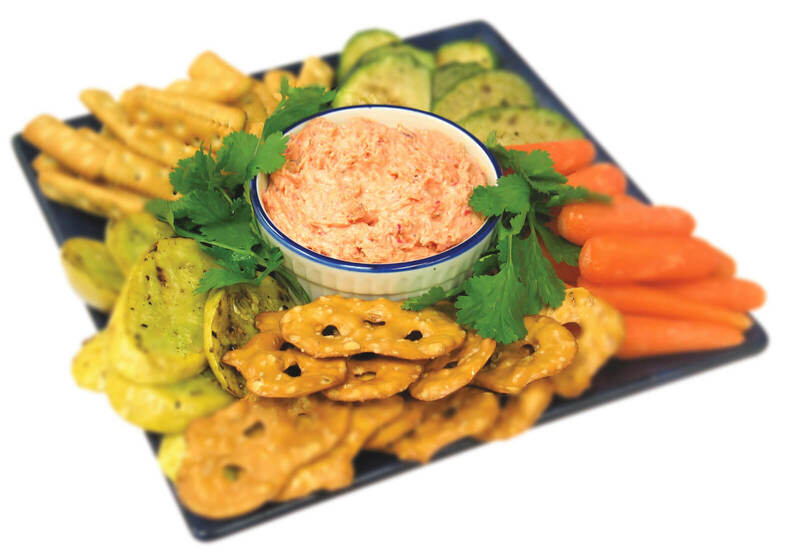 Serve with crackers or cut vegetables for dipping.